Episode 19 is with one of the hosts of Pain Science and Sensibility, Sandy Hilton. To be fair, Erik conducted the interview with Sandy back in March of 2015, before the idea of Pain Science and Sensibility was even conceived. Like Erik, Sandy is a Combines Sections Meeting program chair, he for Sports Section, she for the Section on Women’s Health, and they both happened to be in Washington, DC for the annual meeting for section program chairs. While they were there, they spent about an hour talking about her upbringing and path to get where she is today. 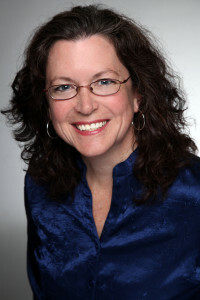 Sandy is a practice owner that specializes in chronic pain and pelvic health in Chicago, Illinois. Her practice, Entropy Physio, is also known for bringing internationally recognized experts into their clinic to provide continuing education for physical therapists. I highly recommend you check out their website to see the amazing lineup they produce each year. The courses are affordable and open to any healthcare providers who want to attend. More information is available on their website.